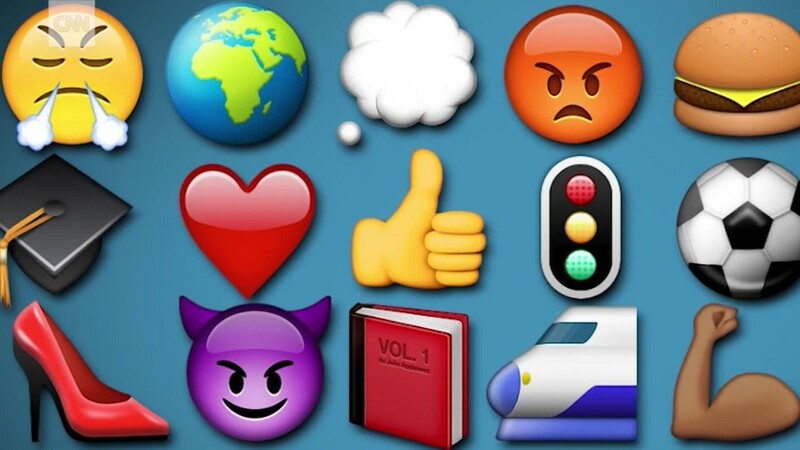 Can you guess the most popular emoji? 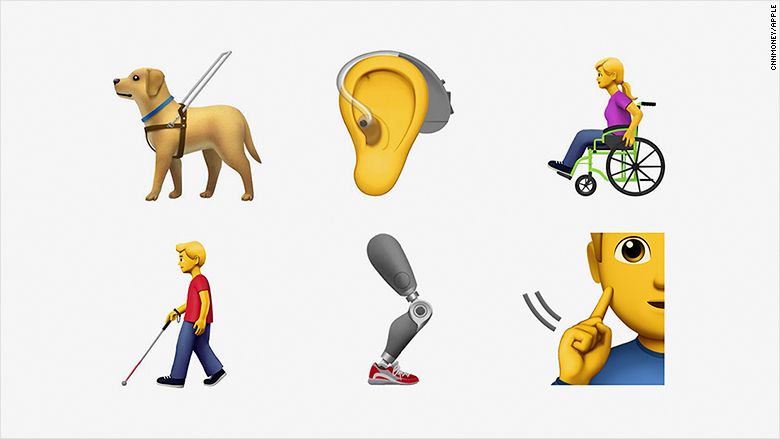 Apple wants emojis to better represent people with disabilities. In a proposal sent to the Unicode Consortium -- the nonprofit organization that sets the global standard for emojis -- the company is advocating for 13 new additions. The proposed emojis include an ear with a hearing aid, a person in a wheelchair, a prosthetic arm, a service dog and a person with a cane. "Currently, emoji provide a wide range of options, but may not represent the experiences of those with disabilities," Apple wrote in the proposal. "Diversifying the options available helps fill a significant gap and provides a more inclusive experience for all." Apple (AAPL) said it chose options that are most inclusive to people in four main categories: blind and low vision, deaf and hard of hearing, physical motor disabilities and hidden disabilities. However, the company noted this is designed to be a starting point, not a comprehensive list of all potential disabilities. Apple said it consulted with top organizations for people with disabilities, such as the American Council of the Blind, Cerebral Palsy Foundation and National Association of the Deaf, to put together the proposal. The emojis must first be adopted by Unicode. After the nonprofit releases its guidelines, software makers such as Apple and Google (GOOG) design versions for their respective platforms. That's why emojis look different on Android and iOS. Earlier this year, Unicode said 157 new emojis will come later this year. The latest additions include animals, superheros, new hairstyles and more expressive smiley faces. In recent years, there has been a bigger push to include more diverse emojis, such as different skin tones, occupations and flags.